Kandaswamy Temple or Sri Muthukumaraswamy Devasthanam is located in Northern part of Chennai. 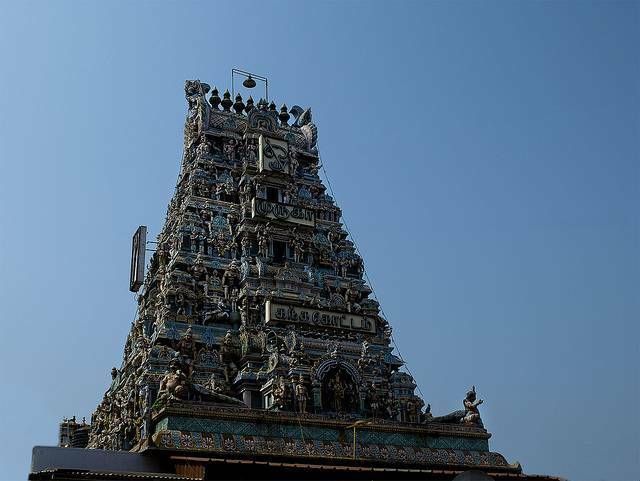 The 16th century temple is dedicated to Lord Murugan. The Idol of God Murugan in sanctum sanctorum was brought from a spiritual center in Thiruporur and incarnated in this temple. As per the facts, it was at this place, that Ramalinga Swamigal, the great Saivite wrote the famous scripture Deivamanimalai. Spread across 8 acres of land, the temple has separate shrines for various Hindu Gods and Goddesses. The Kanda Sasti Festival is celebrated with much pomp and grand in this temple annually for a week in the month of November.